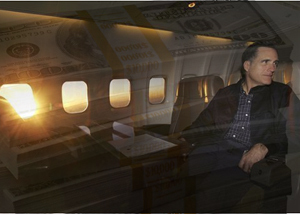 Former Governor Mitt Romney is preparing to infuse his personal fortune into his run for the White House. In so doing, he has become the strategic front runner in the Republican race. Much to the dismay of independent vote-getters like Sen. John McCain and former Mayor Rudy Giuliani, the Florida primary is fast becoming an exercise in who can attract the most members of the conservative population. Running on his dyed in the wool Republican credentials (despite the difficulty he has encountered shaking off his flip-flopper image) has given the former Massachusetts Governor a fair shot at his first competitive primary and he is climbing fast in recent polls of Sunshine State Republicans. “Four days before Florida’s high-stakes primary, polls show the race tight between McCain and Romney as Giuliani trails widely. The outcome of Tuesday’s contest will give one candidate a leg up for the GOP nomination and set the stage for a virtual national primary Feb. 5 [Super Tuesday]” Liz Sidoti writes in today’s Boston Globe. It is not simply his appeal and perfect salt-and-pepper hair that is bringing Romney this sudden recognition as the man to beat on January 29th. He has a personal fortune to spend and in American politics, spending money means your message gets broadcast to voters. With McCain, Huckabee and Giuliani rapidly becoming resource-poor as a result of their early focus on Iowa, New Hampshire and South Carolina, it is only Mr. Romney who can inject much needed funds into his campaign coffers and keep his hopes alive. Sen. John McCain has had a stunning comeback in just 6 months, with his campaign teetering on the edge of extinction just last summer. Replacing money with a streamlined campaign staff and a tireless candidate, the Senior Senator from Arizona has carved out a new calculus for winning (though we should never underestimate the torch of fame he has carried for 8 years as the ‘other’ candidate who ran – and beat – George W. Bush in 2000). If McCain eeks out a victory in Florida, it will be on the fumes of cash rushing out of his campaign’s account. If he comes in second, he may only survive this race if early polls in Super Tuesday states put him ahead. If he’s leading, he can expect more campaign cash to continue the fight. If not, second place in Florida could sink him entirely. Giuliani, once the national front-runner, was prescient enough to know that it was the later states that were going to be important. But Florida’s primary at the end of January was evidently too far off for his campaign to carry the necessary support he needs to stay competitive, and sinking more money into it will not carry him over to Super Tuesday. Like many others, I believe this is Giuliani’s make or break state. Lose here and the campaign is over. In all, it is Romney’s fortune that is now at issue for his Republican competitors. His personal stack of money has made every state win-or-go-home for McCain, Giuliani and Huckabee. Only top finishes allow these candidates to continue to fund raise. For the founder of Bain Capital, he can settle for second in Florida and still throw his wealth into Super Tuesday media buys. This makes Romney the strategic front runner because now everyone’s strategy revolves around him. He has made every delegate in every state a must-have.